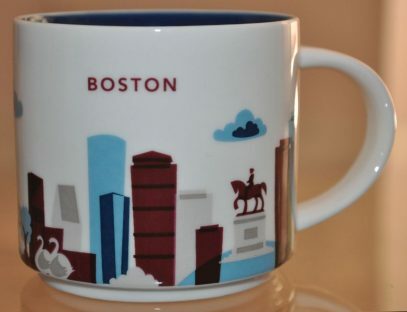 Is this “You are here” mug from Boston still available at the Starbucks? Very likely, Patrick. But you really have to make a dozen of calls in order to find the store which has it. Try starting with those outside of the city, with less tourists. Good luck.